Well I have been a busy bee this last week! 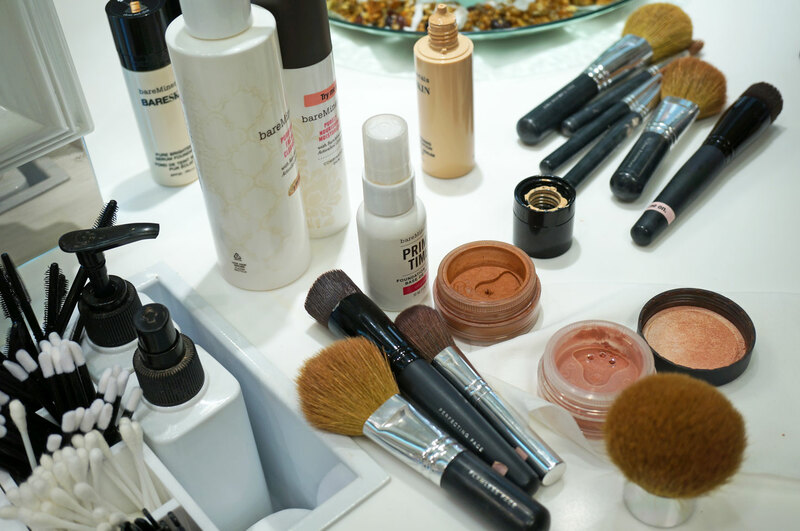 If you saw yesterday’s post you’ll know I was at The White Company’s event on Wednesday, then on Thursday evening I was invited to the BareMinerals bloggers event at Debenhams in Norwich! How exciting! 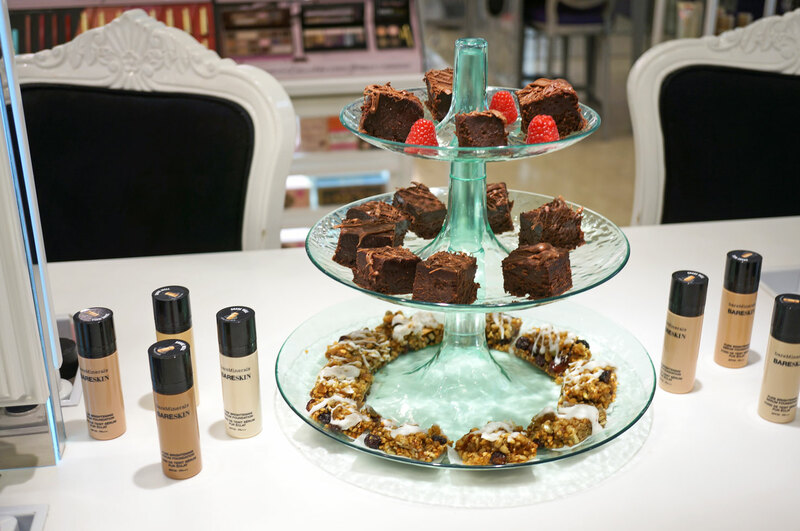 The BareMinerals team wanted to show us and tell us al about their brand new BareSkin Liquid Foundation! 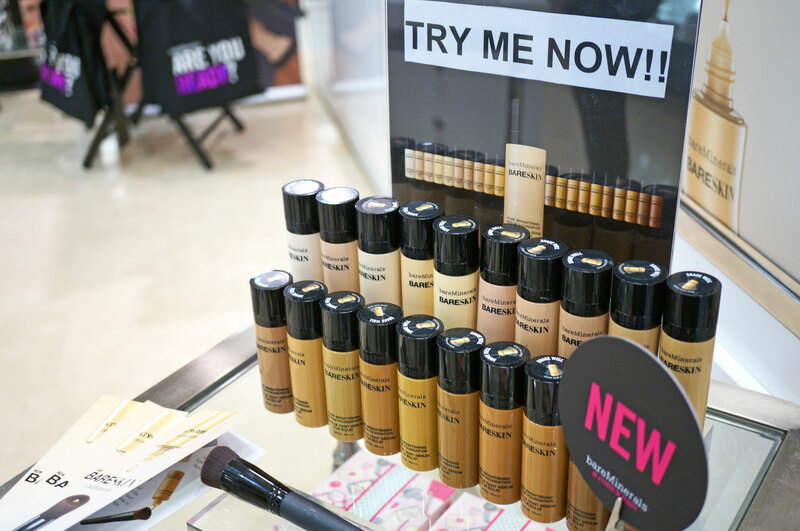 If you know the brand, you’ll know BareMinerals are famous for their powder mineral foundations, so this is their very first liquid foundation, and a really exciting new launch! 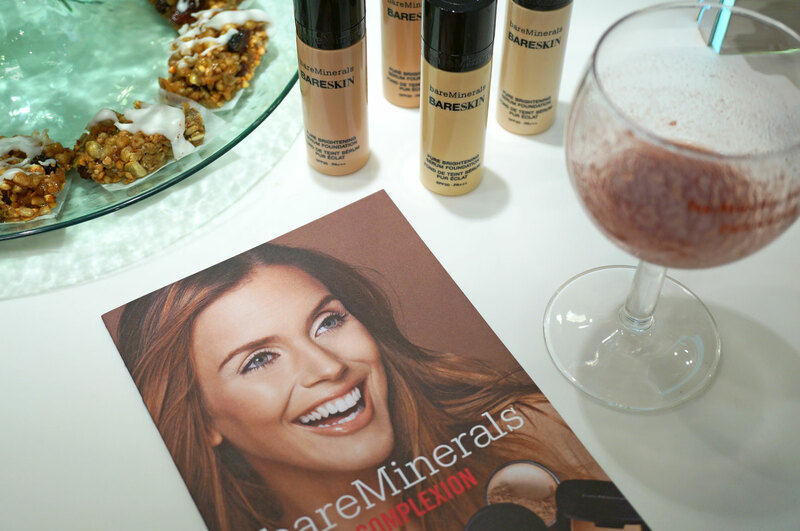 BareSkin is BareMinerals first ever liquid foundation, with a gorgeous ultra thin silky texture, it has a coconut derived base with jojoba coated mineral pigments and lilac plant stem cells, oh and there’s some good old vitamin c in there too! As with the whole concept of BareMinerals, the point of the new BareSkin Pure Brightening Serum Foundation is that it doesn’t contain anything synthetic or bad for your skin, BareMinerals have come up with a liquid foundation that acts like skincare, which I think is a fabulous idea! As well as the makeup, there were some gorgeous chocolate brownies and smoothies provided by Babychinos, a local vendor based in Norwich. 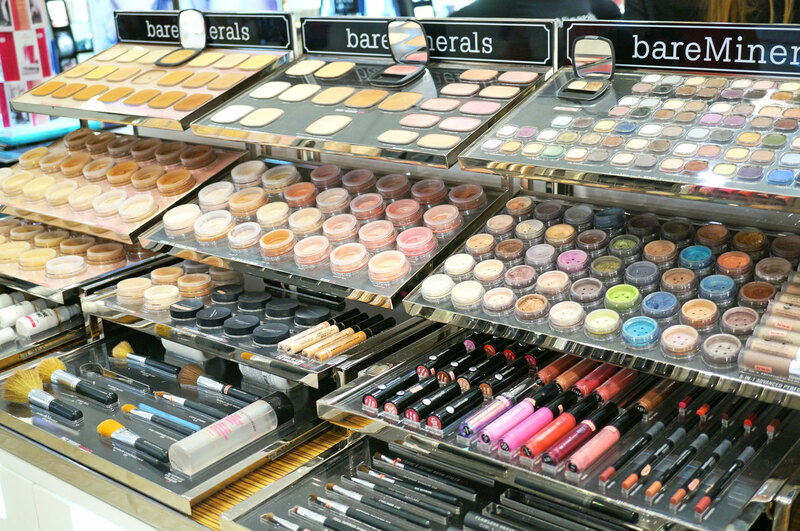 BareMinerals chose this company specifically as all their products are made from scratch out of the highest quality ingredients and locally sourced products – which reflects BareMinerals company ethos. Ok so ignore the darker bits around my hairline, this is the remnants of my previous foundation that was removed! We were shown how to apply the product using the new Perfecting Face Brush, adding two drops at a time to the centre reservoir of the brush then buffing into the skin. We were advised to use up to six drops in total for fuller coverage. 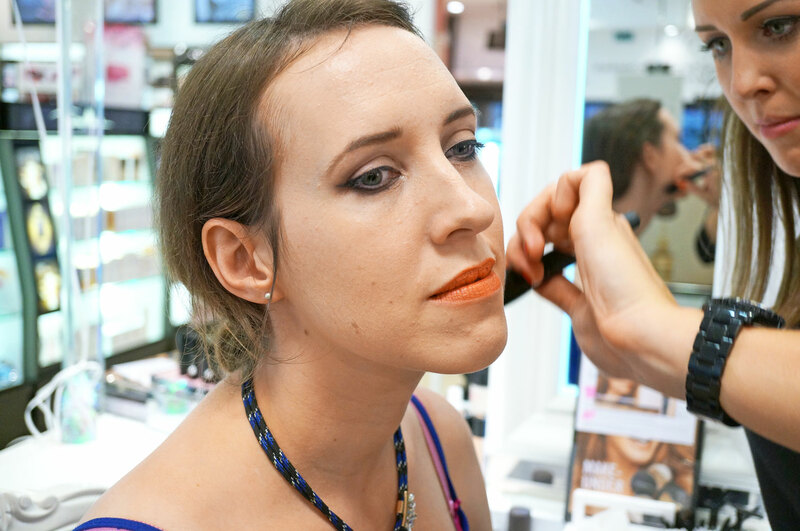 I was really happy with the finish on my skin, it’s definitely the most lightweight foundation I’ve ever worn, and just like BareMinerals powder foundations it really felt like I wasn’t wearing any makeup – the finish really is so lightweight I can’t even tell you! I’d definitely recommend this foundation if you like a natural, semi-matte finish, with medium coverage. 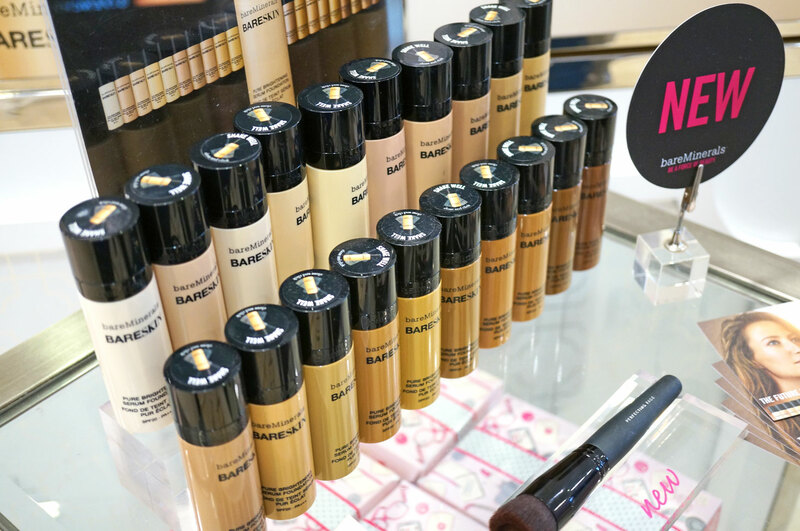 The BareSkin Foundation is £26 and it can be purchased from Debenhams or direct from BareMinerals.co.uk. 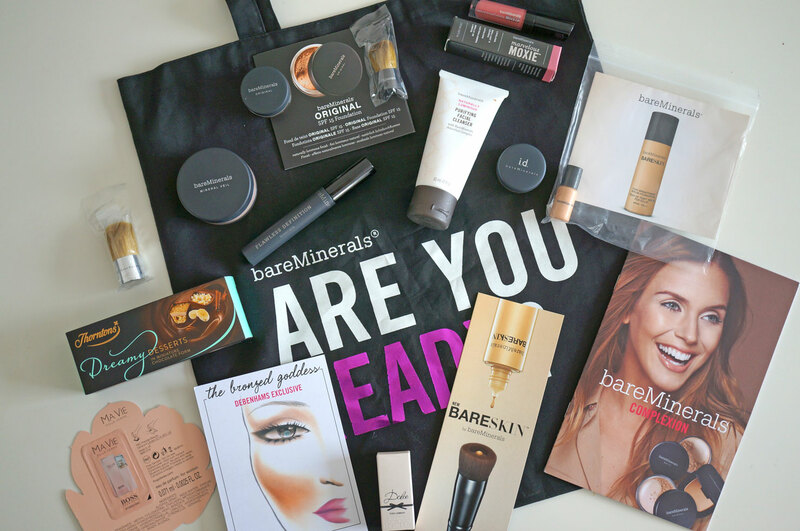 I left with a good sized sample of BareSkin foundation and an amazing goody bag! Thank you so much! Previous Post The White Company Norwich Store Opening Event! Pretty awesome – I love how it comes in darker shades too!